Cosmetic foot surgery essentially means improving the appearance of your feet through surgical means. Whilst most foot surgery is performed for foot deformities, such as Bunions and long toes that have become hammered, a cosmetic approach to foot surgery often also achieves excellent functional results. Performing cosmetic foot surgery is not unusual for a podiatric foot surgeon. Can You Get Cosmetic Foot Surgery? Bunion surgery – A Bunion (medically known as a hallux valgus deformity) is a genetic condition where the big toe protrudes towards the outer side of the foot, leaving a bump on the first metatarsal head on the inner side of the big toe joint, which becomes prominent. This becomes increasingly problematic with footwear and is more common for ladies than men. Most people develop symptoms in their late teens and most surgery is performed on patients in their twenties onwards. The metatarsal is realigned and a straight cosmetically improved toe position, as well as a narrower foot, is achieved. Toe straightening and shortening – Toe deformities can essentially be due to Bunion deformity or imbalance in the tendon function around the toes. The toes become crooked and bent around the little joints. This will result in permanent retraction over time and corns that will develop from footwear irritation on the top of the toes. Surgical procedures use advanced techniques with internal implants, rather than k-wires sticking out of your toes. The position of the toe is realigned for straighter and slightly shorter appearance. Cosmetically the scars are hidden and kept to a minimum. The costs of cosmetic foot surgery do vary, but are related to the degree of surgical correction required. Typical costs would be approximately £5000 for a bunion correction and may range to approximately £7000 per foot, where bunion and lesser toes need to be corrected. Should a single isolated hammer toe need to be corrected, then this would be approximately £2000. Corns form on the joints of the lesser toes as a result of friction or direct pressure from footwear. The underlying reason for the corn is usually as a result of a toe deformity where undue pressure is applied on the joint surface, resulting in reactive changes to the skin and tissue, which in turn cause bursitis and hardening of the skin. This is not only a cosmetic condition and may result in a significant amount of pain and discomfort to the patient. Surgery is typically performed to either excise the skin lesion/corn on its own, should there be no underlying toe deformity, or else correct the toe deformity as well as excision of corn. An incision is made on either side of the corn to excise the full extent of the lesion. At this stage any bone that needs removing at the knuckle joint to straighten or shorten the toe can be performed, using specialised bone-cutting materials. The joints are then fixed with either k-wires or specialised implants. The skin is then closed with non-absorbable stitches, thus leaving a neat scar that would fade over time. Typically healing would involve the first two weeks of relative rest to allow wound closure. This is followed by bone healing, should a bony procedure be performed, over the next four weeks. Cosmetic foot surgery for wide feet is also popularised, mainly in the USA, as the Cinderella Foot Surgery or Foot Slimming Procedure. Patients often present with a Bunion that affects the big toe, as well as a Tailor’s Bunionette affecting the fifth toe area, resulting in Bunions on either side of the forefoot. This would give an appearance of wide forefoot that splays and spreads, especially in flatter shoes, or when barefoot. This can result in both functional problems in that there is pain related to the Bunion and Bunionette, especially in shoes, or as well as cosmetic concerns with wide feet. The patients can often not find shoes that are wide enough at the forefoot, yet snug at the heel to control their foot within the shoe. The Cinderella foot procedure allows simultaneous correction of the Bunion and Bunionette deformity by resetting the first metatarsal bone into normal alignment, as well as the fifth metatarsal with a procedure known as Scarf Osteotomy. Internal screw fixation is used to hold the bone in a new position while it heals over a 6-8 week period. The special titanium screws are manufactured for this procedure and remain in the body with no ill-effects. They allow early mobilisation so that there is no need for casts following the surgery. Once the Bunion has healed and soft tissue swelling has resolved, which can take up to 3 months, typically the patient has a sustainable narrower foot that does not splay when standing. Toe Tuck Surgery is a form of cosmetic toe surgery where there is enlargement of the soft tissue, particularly fat, around the end of the toes, resulting in bulbous fat deposition. The Toe Tuck Surgery would essentially involve removing some of the skin and excess fat tissue, thus protecting the nerves and blood vessels around the toe to reduce the overall size of the toe where is soft tissue enlargement. This could be used in combination with any toe shortening required at the same time. The London Foot & Ankle Surgery is a specialised clinic in all types of foot surgery, dealing in minor to major deformities of the feet, as well as cosmetic foot surgery. It has a specialist interest in day case reconstructive surgery that allows for early mobilisation, and therefore Bunion and Hammertoe operations are commonly performed on a weekly basis. The procedures are performed in day case surgery centres under local, regional and general anesthesia, as tolerated by the patient. We have in-house facilities to provide all of the postoperative care and any imaging that is required, such as x-rays and specialised scans. Our in-house physiotherapist also helps to rehabilitate our patients and and return to desired activities after the operation. 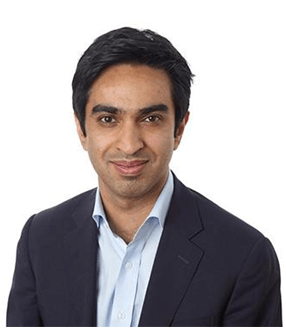 Mr. Kaser Nazir is a Consultant Podiatric Surgeon on the NHS and in the private sector. He has always had a keen interest in performing foot surgery with cosmetic approach, which essentially means that he tries to hide scars or use minimally invasive techniques to achieve excellent cosmetic and functional outcomes. He is very aware of the fact that, unlike other types of cosmetic surgery, cosmetic foot surgery has to be carried out with caution with the right understanding of biomechanical principles to ensure that the full function of the foot is retained following surgery and that patient expectations are met and they are counselled carefully regarding the outcomes. He takes a pride in carefully selecting patients that are suitable for such operations. Typically most foot surgeries take an initial few weeks of wound healing. Most patients return to some level of activity and work at that stage. However, bone healing, should a bony procedure be performed, may take 6-8 weeks. Full recovery can take 3-6 months depending on the level of surgery and the swelling postoperatively. However, there are various factors as to how long someone takes to heal and this depends on both physiological health, age and individual factors. How Many Sizes Can I Go Down With Toe Surgery? Toe surgery is performed carefully on patients who are born with longer toes and usually not the big toe, but the second, third and fourth toes. Most shortening procedures would achieve a toe length that would be the same size or slightly shorter than the big toe and not much less than that. This allows better footwear accommodation, but is not one of the main considerations when performing cosmetic foot surgery and would depend on individual foot factors.